The Warmup Tectora System is designed for use within either battened or suspended timber floors, including TJI joist constructions. The Tectora Joisted Batten Floor System is particularly suitable where there is a sprung/cradled battened floor or floor joists. The system features insulation installed between floor joists with the heating pipes inserted within diffusion plates fitted above for optimal heat distribution. 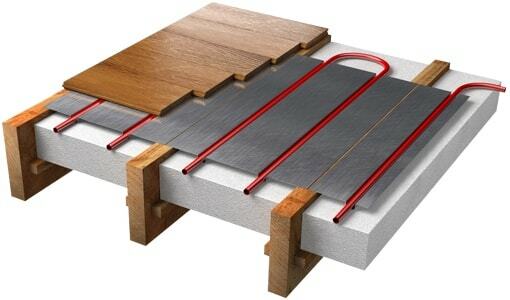 It is a dry-fitted hydronic system, requiring no screeding. 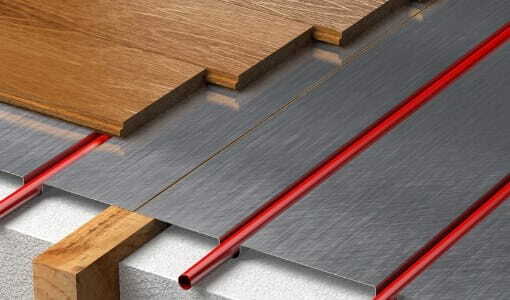 The Tectora Joisted Batten Floor System is suitable for almost any floor finish, in particular wood or engineered wood but for installation under tiles as a final floor finish, additional layers of plywood or tile backer board may be required to create a rigid base. The system is suitable for use with all Warmup 16mm heating pipes. 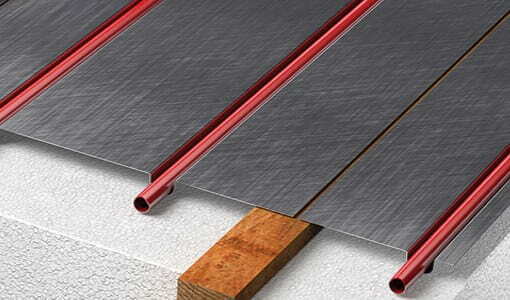 The system is used in battened installations over a concrete subfloor; variable height floor battens are employed to create a void of between 50 to 100mm. The batons can be sprung or on cradles to create an acoustic floor. For this installation, a diffusion plate system is generally used if standard installation types are not suitable. For installing as a joisted system, the rigid insulation is placed between the joists to support the diffusion plates, as they span the joists.